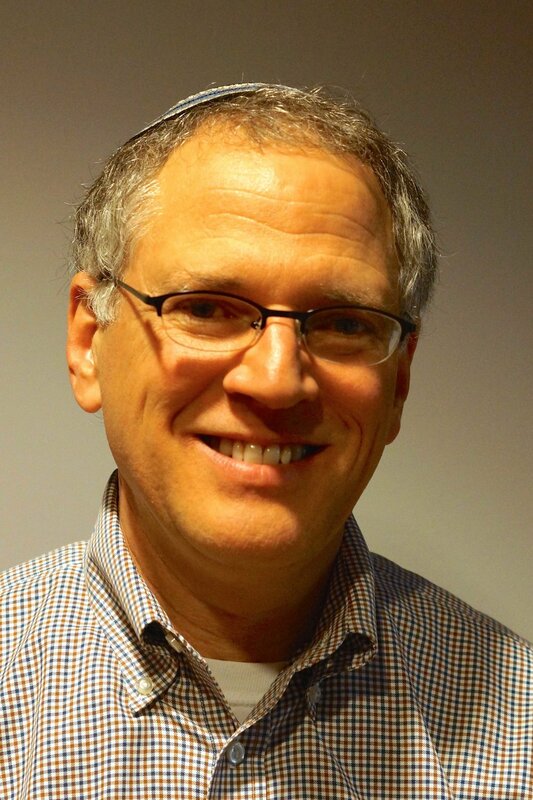 Rabbi Jeff Sultar of Congregation B’nai Jacob has over 25 years of experience. He is passionate about providing for the spiritual needs and growth of the congregation, including insightful sermons, education classes and providing pastoral guidance and support for our congregants. Rabbi Sultar has served a number of congregations over the years including Congregation B’nai Israel, a Conservative synagogue in Rumson, New Jersey; he served as Interim Rabbi at Beth Am Israel, a Conservative congregation in Penn Valley, Pennsylvania; as Senior Rabbi at Mishkan Shalom, a Reconstructionist congregation in Philadelphia, Pennsylvania; and as Rabbi at Congregation Beth Shalom, a Reconstructionist congregation in Naperville, Illinois. The Rabbi taught in the Religion Department at Temple University. He directed the Green Menorah Program, which addressed the global climate crisis from a Jewish perspective, seeking changes in individual, congregational and organizational practices, as well as advocating for changes in public policy. Prior to that, he was the Campus Rabbi at Cornell University in Ithaca, New York. Before Cornell, he was the Campus Rabbi at Choate Rosemary Hall in Wallingford, CT. His appointment there represented the first time that a college preparatory boarding school had a full-time on-campus rabbi. Rabbi Sultar's passion for teaching has taken him several times to the National Havurah Summer Institute where he taught "The Earth is the Lord's: Judaism and Environment" and “Does a Golem Count in a Minyan?” He also helped develop and taught in the innovative "Jewish, Alive & American" program in Philadelphia, an intensive year-long course for people rediscovering their Judaism as adults. As a speaker for Shomrei Adamah, a Jewish environmental group, he gave talks throughout the northeast on the connection between Jewish values and environmental concerns. His essay, Adam, Adamah and Adonai: The Relationship Between God, Humans and Nature in the Hebrew Bible is included in Ecology & the Jewish Spirit: Where Nature and the Sacred Meet. He also contributed to the family education book Growing Together: Resources, Programs, and Experiences for Jewish Family Education. Rabbi Sultar is a graduate of the Reconstructionist Rabbinical College. While there, he received the Berger Prize in Practical Rabbinics and the Socolow Prize for Outstanding Essay. His undergraduate education was at Williams College in Williamstown, Massachusetts; his concentration was in English and he also completed a program in Environmental Studies. Rabbi Sultar also participated in the Institute for Jewish Spirituality for Rabbis, a two-year program of retreats, meditation practice and weekly text study. The Rabbi lived in Jerusalem for a year where he studied at Pardes, an egalitarian Orthodox yeshiva, actively explored nooks and crannies all over Israel, saw as many movies as possible at the Cinemateque, and paid regular visits to an Ethiopian family. Prior to his time at RRC, Rabbi Sultar was the Gaudino Fellow at the Center for Common Security (CCS) in Williamstown, MA, for which he led workshops throughout the United States on themes of global security, participatory education, and leadership. Part of the work of CCS was promulgating a model for education in which college students initiate and teach their own classes. This work grew out of a course that Rabbi Sultar helped create, and which ran for over 15 years. While at CCS, he founded its Natural Security Program that explored environmental dimensions of international security. He also taught a course on "Natural Security" as an adjunct professor at Williams College. Rabbi Sultar has written a book (currently in search of a publisher) about the spiritual side of his solo, 27-month, 46 state, 16,000 mile bicycle journey throughout the United States, during which he bartered work in exchange for food and lodging in over 400 communities. In addition to movies, his interests also include music, art, reading, theater, travel, nature, and racquet sports of all kinds. He lets few days go by without at least a taste of chocolate. Rabbi Sultar is married to Julia Bell and has a daughter named Maya who is in her first year of college, and he is stepfather to two older children, Miller and Liz. You can contact Rabbi Sultar via email at rabbi@congbj.org.